Trivia lovers in Formby and beyond are being urged to get quizzical to commemorate 100 years since the end of World War One. 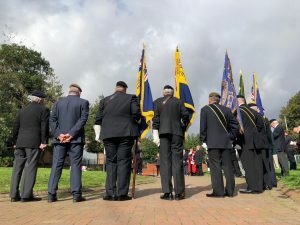 Held as part of a series of Sefton Council funded Royal British Legion events to mark the centenary of the 1914-1918 war, Formby’s Gild Hall will play host to a fun quiz night on Wednesday, October 24. All proceeds from the evening will go towards the Royal British Legion’s Poppy Appeal. Mayor of Sefton Council, Cllr Dave Robinson, said: “I’m absolutely delighted to be attending the Formby British Legion quiz night and I’ve been busy brushing up on my trivia. There will also be an auction and raffle taking place on the night, with bar facilities also available. Formby British Legion’s quiz night takes place from 7.30pm on Wednesday, October 24 at the Gild Hall, Church Road, Formby. Tickets cost £5 and are available to buy from Formby Home, Three Tuns Lane or by calling 01704 871927.